You said it and we listened. 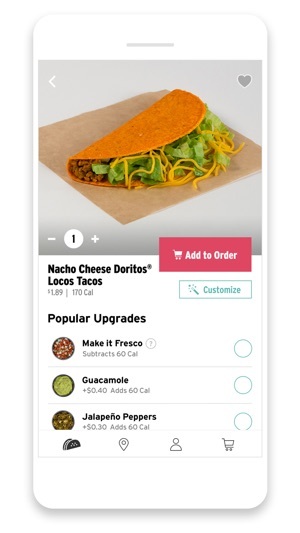 The new and improved Taco Bell app is here! Download and stay a while. 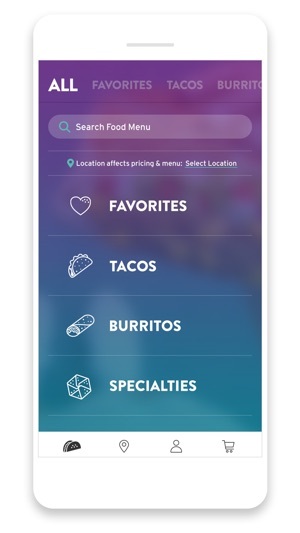 Welcome to the new Taco Bell App! I've tried using this app 3 times. The first two times I selected which location I wanted it at and somewhere along the way it chose a different store across town and I didn't find out until I was at the one I wanted to order from. I even payed special attention the second time to make sure it wasn't user error and it still somehow changed it. I waited in a 30 minute line twice both times because the service was slow and I didn't find out that it wasn't at that location until I was at the window. That's 2 hours of waiting overall for a taco! If it wasn't too late to have gone inside to get it but at that point only the drive thru was open. The third time I tried using it wasn't as bad but I like jalepenos so I tried adding them to my order and the option was there but every time I tried selecting it, it either didn't even show that I tried adding them but every now and then it would show it checked off for a split second before unchecking itself, I tried it with multiple different food items to make sure it wasn't just that my item couldn't have jalepenos added to it. It wouldn't let me add it to a single item. And I can't find any explanation for it. 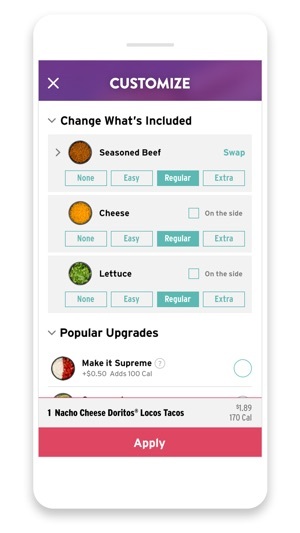 This app is supposed to make ordering easier but it's done nothing but add 10 times more stress to trying to get food. The restaurants weren't at all helpful when I explained the situation. At this point in about ready to give up on taco bell altogether and use the mcdonalds app next time. There is no reason to upload this App as it simply has no point. I bought $40 of gift cards to get an additional bonus and am unable to use them. You can’t pay with the e-gift cards you buy through at a Taco Bell as they don’t have the capability to type in the gift card number. 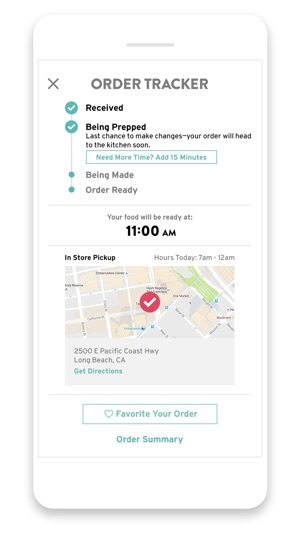 So you have to use the App to mobile order, and that is slower than any other App on Earth. Oh and once you get a couple things in your cart to checkout, you absolutely cannot pay for them with the gift cards you bought through Taco Bell. So it was a complete waste of money and I’d like my money back. 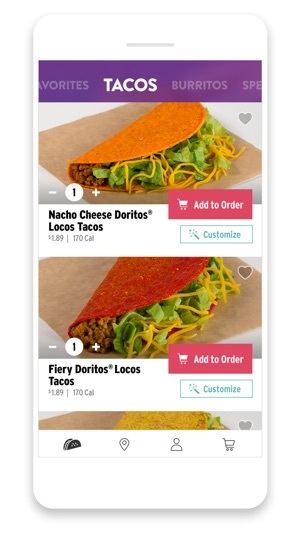 DO NOT bother using this App and definitely don’t buy gift cards from Taco Bell. UPDATE 3/28 All I’ve wanted to do is use the App enough to use the balance I had left on the gift card. But still it only works 1 out of 4 times and I end up having to go inside and start the order over. Today was the biggest thievery of them all. After getting the order to the cart after 20 minutes of starting and restarting, my bill was 37 cents higher than the balance of my gift card. So I had to put in a credit card for the 37 cents and afterwards noticed the whole $20 order was charged to my credit card. So I still can’t get rid of the App because it’s literally STEALING money from me. Please don’t get this App. You will be sorry. How it gets such a good rating when all the recent ones are always awful I will never know. Taco Bell must be deleting them. So I left without food that I already paid for. 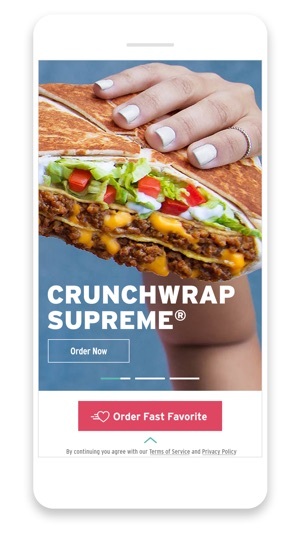 ©2019 Taco Bell Corp. All rights reserved.